Elvis biographer Peter Guralnick continues about the first impressions Elvis made upon others in his early years. He also sets up “That’s All Right (Mama)” with some back story about its recording session. Elvis 75 – Good Rockin’ Tonight (4-CDs). 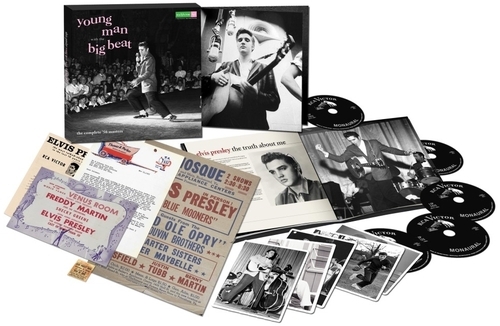 Deluxe limited edition 4-disc box set features 100 remastered hits from every phase of Elvis’ career. Elvis 75 (1 CD). 19 of the best of the best from the box set on one CD.